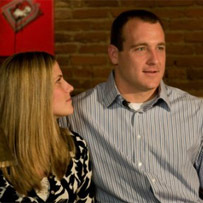 Heath Miller and his lovely wife Katie will once again host this event on October 18th 2010 at Bossa Nova. It is sponsored through A Glimmer of Hope and proceeds benefit the “Under Forty Breast Cancer Study”. The evening includes both a live and a silent auction so fans can bid on autographed Steelers memorabilia, a “Meet & Greet” with Steelers players, and great food and drinks! Heath will be there with many of his teammates. 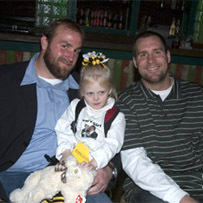 Previous attendees have included teammates Ben Roethlisberger, Brett Keisel, and Troy Polamalu. Also, Alan Faneca, who previously hosted the event, normally returns to Pittsburgh to join the cause. If you’d like to purchase tickets, click here. If you’d like to see photos from past Bid For Hope events, click here. And since this is Breast Cancer Awareness Month in the NFL, Steelers breast cancer apparel can be purchased throughout October at the Steelers Online Store with proceeds benefiting breast cancer research. Click here to view the apparel. “I scare them on the football field, might as well scare them off the field.” — Steelers offensive tackle Max Starks. Grab your terrible towel and get to Pittsburgh’s best haunted house on Monday October 25, 2010 . Steelers Fright Night has quickly become hands down the most popular Halloween event for Pittsburgers and it is one not to be missed! Grab your tickets online now and get terrified by your hometown favorite football team! 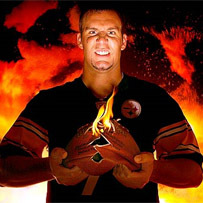 During the Pittsburgh Steelers Fright Night 2010, your favorite players with become horrifying creatures beyond your wildest nightmares. That’s right, your Pittsburgh Steelers will be transformed into the ghastly residents that haunt Hundred Acres Manor; Pittsburgh’s best haunted house. It is unknown what Steelers players will be waiting for you! You’ll just have to show up and find out…if you’re brave enough! Proceeds from Hundred Acres Manor benefit The Homeless Children’s Education Fund. Tickets are limited so get yours fast by clicking here. Listen to a message from Brett and Sarah Keisel on how your visit benefits HCEF! If you’d like to see photos from past Steelers Fright Nights, click here. For the fifth year in a row, Brett Keisel will host the 65 Roses Sports Auction. It will be held on November 29, 2010 at McFadden’s Pittsburgh. Brett will be joined by many of his teammates and other Pittsburgh celebrities as they help to raise funds for cystic fibrosis research. Last year Brett was joined by teammates Ben Roethlisberger, Troy Polamalu, Hines Ward and Heath Miller. If you’d like to purchase a tickets, click here. If you’d like to donate to the Cystic Fibrosis Foundation, click here. If you’d like to see photos from past 65 Roses events click here.